Bob Carrington, Fun Day, Geese, Wild September, Vandals. It was with much sadness that we had to announce the death of Captain Robert (Bob) Carrington (Retd. ), following a short illness. 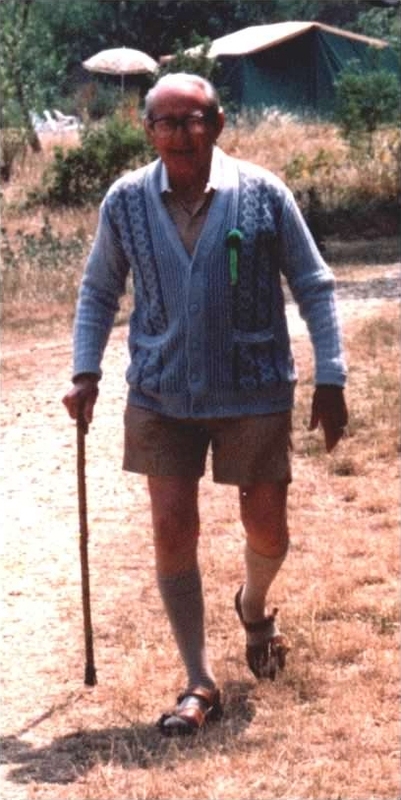 Bob was the founder in 1992 of The Friends of Brickfields Country Park after recognising the need to protect the park for future generations. Bob worked tirelessly for the park, friends and its environment, often doing much of the work himself, and still attending our committee meetings right up to within a few weeks of his passing. His indomitable spirit and concern for all will be missed by us all at Brickfields Country Park. In one night two cars (presumably stolen), were dumped in the car park and set alight, destroying one of the large fir trees in the process. 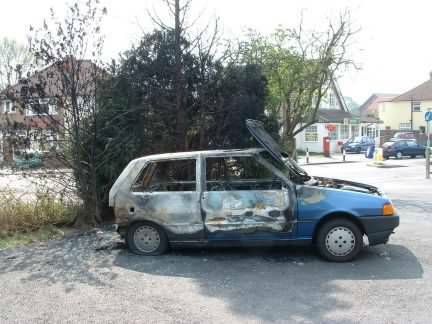 We have had dumped cars before but this was the first time they had also been set alight. They were eventually cleared and the remains of the tree cut down. Not one of our best year's to say the least, the weather was good but we had to change the venue within the park at very short notice, and although within sight of the road it did not seem to bring in the passing trade. Clashes with national sporting and other events seemed to have been the cause of this bad turn out at what has been in the past a very well attended event. We were again sponsored by The Hire Center, in St. Josephs Road Aldershot, who kindly help out with a large diesel generator to provide the electricity for the Fun Day. Without the help of local companies we would at times be unable to do some of our work in the park and also stage events like the Fun Day. Our grateful thanks go to them. Arranged by Blackwater Valley Conservation (link) the "Go Wild in September" campaign was a full months worth of activities with conservation and wildlife in mind. Some events were well attended, others not so well, and at Brickfields - absolutely nobody turned up! not one, Although at the next work weekend several people did turn up to have a look at the park, something I suppose. 2003 was a very hot long summer to the extent we had to have the larger fish removed from the pond to local storage as there was only 150mm (6in) or so of water left. It had its plus side though, with such a low water level we managed to catch up with some of the work around the banking of the pond and to start on re-building the small (4th) island. This island was in such a state that most people did not know it was there. Vandals were up to their usual tricks, fires, late night disturbance, litter, damage & somebody even stole the gate in the car park, hinges and all! 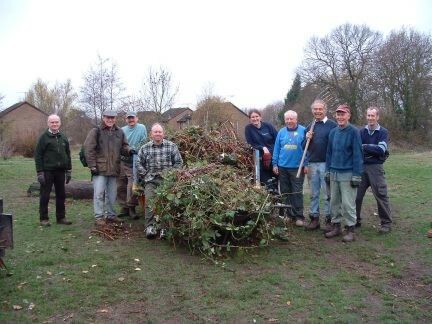 In March a group of local councillors came down to Brickfields and helped us with a "spring clean", and in December, Blackwater Valley Conservation helped with the removal of two skips worth of general rubbish and undergrowth, taking away over 6cu meters material. Almost a year to the day since Bob's passing, we held a tree planting in his memory. 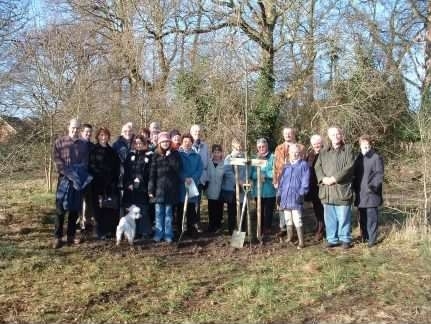 Attended by his family, friends, Army colleagues, the present Mayor & members of Brickfields Friends, we planted a Red Oak as a permanent memorial to the founder of The Friends of Brickfields Country Park & his work in all fields not just with the park. Our Geese returned in numbers this year, up to 20 being seen for a few weeks until a pair drove off the others and settled down to breed. Things went quite well for a while, but once there was a small group of five Canada Geese goslings they came to the attention of the local yobs. 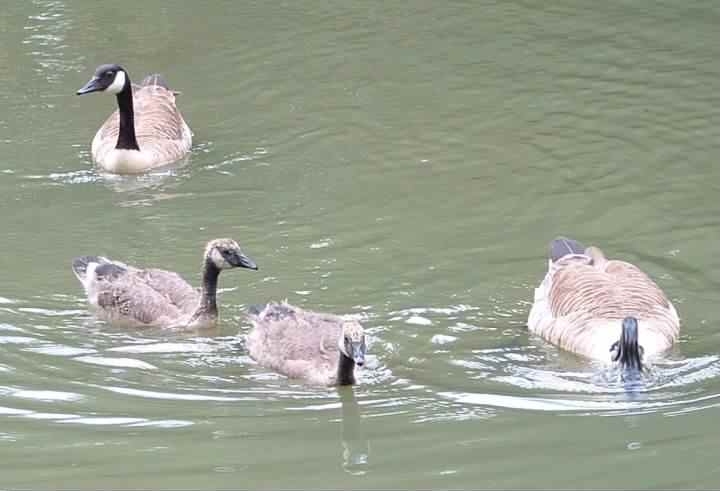 Several, at least 2, of the goslings and also some of the ducks were used as target practice by these yobs using a ball bearing gun, killing them. The authorities were called but needless to say by the time they arrived the culprits had disappeared. The remaining two young have survived (and their parents) and grown to handsome birds who should be leaving us soon. Back to our old form and then some! 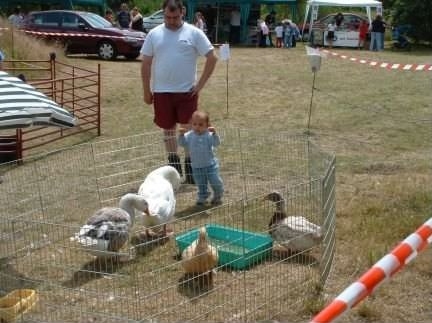 We booked Millers Ark Animals Mobile Farm again this year, with their display of Goats, Ducks, Rabbits, Pigs, Hens, Cockerels, Geese and other farm animals. A very popular free display with everybody especially the younger children. Combined with The Ray of Hope Animal Sanctuary, RSPCA, A Birds of Prey Display & The Surrey Badger Group, we had a "Wildlife" theme for the event. It was very well attended and busy all day. We introduced this year our own Bullace jam made from fruit picked in Brickfields Country Park, and sold out of our entire stock of 24lbs of jam! Millers Ark seem to be a very popular attraction, both with us and at other venues we have seen them at, we will be booking them again. Vandalism and disturbances have again been evident in the park, culminating in two incidents. The first where a local Policeman was threatened with stabbing and dogs being set upon his Police dog, and another where one of our work parties on a Sunday afternoon was surrounded by the same group (with dogs) making our position and their intention quite clear. These incidents have been passed to all local authorities and we know several discussions have been taking place with reference to these and other incidents. Our problems have been compounded with a local shop refurbishment that sells alcohol within a few hundred meters of the park.